To mark its 25th anniversary in 2018, InTents magazine asked readers to select their favorite brand in 25 distinct categories. 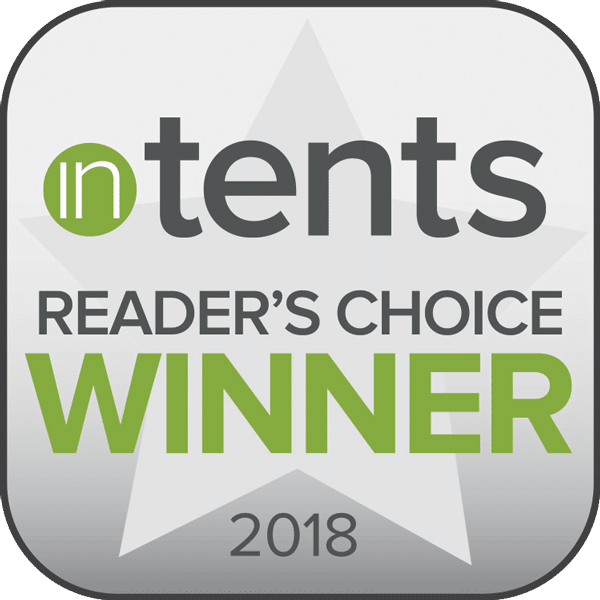 Anchor Industries was named InTents Reader’s Choice winner in four key categories: Best Frame Tent Provider, Best Tension/Pole Provider, Most Innovative Tent Supplier, and Best Customer Service. Anchor Industries, founded in 1892, began as a small riverboat supply house located on the Ohio River. Anchor Supply Company, as it was known then, furnished oil, groceries, paint and other supplies to the steamboat trade. Due to a growing demand for water-proof covers, Anchor’s founder, Louis A. Daus, added canvas goods to the line of merchandise. Today, with 300 skilled workers and over 350,000 square feet of production capacity in Evansville, Indiana, Anchor is one of the world’s most respected producers of tents for events, parties, and weddings, as well as awnings and outdoor fabricshade solutions, plus fabric buildings and structures, safety pool covers, fire shelters, military goods, and other custom fabric and frame products. Throughout its long history, Anchor has pioneered numerous industry-changing innovations.